There are only three wolves left in Michigan’s Isle Royale National Park, which could spell disaster for the group’s survival, according to new research. “There is now a good chance that it is too late to conduct genetic rescue,” John Vucetich, associate professor of wildlife ecology at Michigan Technological University, said in a statement. Vucetich conducted the annual study of the park’s animals along with Rolf Peterson, a research professor at Michigan Tech. t’s believed that this last remaining pack is made up of two adults and one 9-month old pup, though the pup does not appear to be healthy. It looks to have a deformed tail and hunched posture among other abnormalities, meaning it could easily be dead within a year. Regardless of the pup’s health, recovering the wolf population on the island is not likely to happen naturally. Since 2009, the wolves have been rapidly declining in numbers, dropping from 24 to just three in six years. This is partly due to inbreeding among the pack. Inbred pups have a very low survival rate, and researchers believe it would be nearly impossible to recover the population without introducing new genetic material into the group. However, the two resident adults are likely a mating pair, meaning they wouldn’t be interested in mating with outside wolves if given the chance. 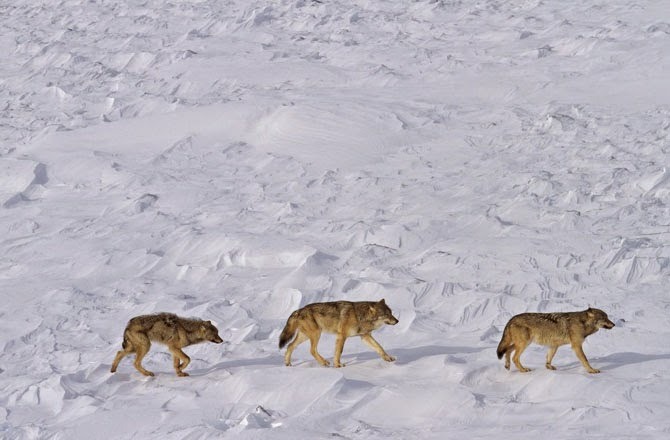 In fact, researchers recently observed two other wolves that made their way onto the island via an ice bridge from the U.S.-Canadian mainland, but the pair left after less than a week. It’s possible the two pairs of wolves didn’t even notice each other. This doesn’t mean the population could never recover naturally, especially because we now know it is possible for other wolves to enter the park. But the only scenario that would result in re-population would require the resident adults to be interested in mating with outside partners. The declining wolf population also correlates to a rapidly increasing moose population on the island. Without as many predators, moose are thriving, and if the unbalance of predator-prey worsens, it could cause severe and permanent damage to the vegetation on Isle Royale. Sadly, humans are largely to blame for the severe decline in the wolf population across the United States. Hunting has nearly depleted them from the western part of the country. 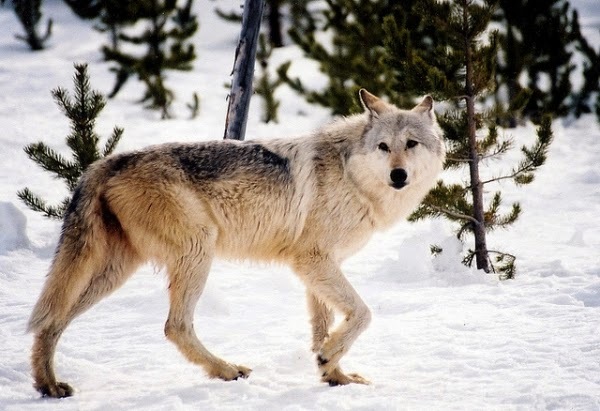 According to Defenders of Wildlife, there are only 7,000-11,200 gray wolves left in Alaska, 3,700 in the Great Lakes region, and 1,675 in the Northern Rockies. It remains to be seen whether humans can prevent the Michigan Isle Royale wolves from disappearing entirely. Responses to "Only Three Wolves Remain on Michigan's Isle Royale"
How can It be That out of thousands that existed before there are only three left? How horrific?